Cozy Chicks: MALL WALKING? YES! BUT WATCH OUT FOR THE FOOD COURT. MALL WALKING? YES! BUT WATCH OUT FOR THE FOOD COURT. When the weather gets chilly, a lot of my friends take to walking at the local Mall. It's safe, convenient, and if you go early, you can escape the crowds of shoppers. It's a great way to get in a little exercise and socialize during these dreary winter months. But danger lurks in those delectable food items around every corner. With the addictive scent of Cinnabon in the air, it's a real test of will power to get through the Mall without packing on the calories. Here's a fun fact that will strengthen your resolve. 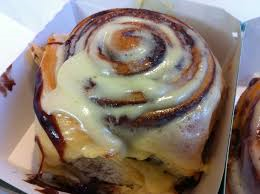 One Cinnabon is 880 calories, and 37 grams of fat. Whoa! How much "mall walking" would you have to do to burn off those calories? Here's the answer. (And it's a not-so-fun fact.) A 160-pound person walking at a pace of 3 miles per hour burns 85 calories per mile and 255 calories per hour. That means you would have to walk for more than three hours (!) and you still wouldn't burn off the calories in a single Cinnabon. Unless you are seriously addicted to Cinnabons, it may not be worth it. Other Mall food is tempting, but you need to know the facts. Those delish pretzels at Auntie Anne's? Sadly, the Cinnamon Sugar Pretzel is 470 calories. Assuming you can eat just one! If you've a hankering for pizza, beware. 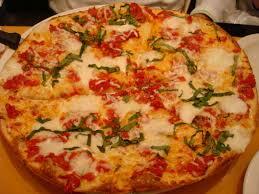 Even half of a thin crust margherita pizza at California Pizza Kitchen is 665 calories. It's lunch time and you're craving a cheeseburger and fries. 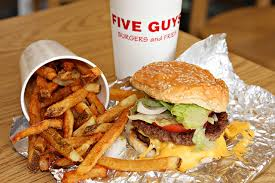 And look, you're right in front of Five Guys, who arguably might have the best French fries in town. But stop and think. A Five Guys cheeseburger (with no fries!) is 840 calories and 55 grams of fat. Yowsers! That's a lot of walking. And you just might weaken and order the fries with it. (not that you don't have any will power, just sayin') It's easy to give in to temptation. Are you supposed to deprive yourself of these treats forever? Heck, no! Just don't make "indulging" a regular thing. Save it for a special occasion and enjoy every bite.